The Ethiopian Airlines pilot of the jet that crashed, killing 157 people, had reported flight-control problems, the company said on Wednesday as the disaster continued to rock the global airline industry. The investigation may focus on an automated anti-stall system that dips the aircraft's nose down. Asrat Begashaw, a spokesperson for Ethiopian Airlines, told Reuters the pilot had reported flight-control problems — as opposed to external factors such as birds — and had requested to turn back to Addis Ababa. "In fact, he was allowed to turn back," he said. The airline's CEO had previously said the pilot sent out a distress call, but did not provide further details. Begashaw said the flight data and voice recorders will be sent to Germany for analysis, though Germany refuted this later Wednesday. GermoutFreitag, a spokesperson for Germany's Federal Bureau of Aircraft Accident Investigation (BFU), said, "This is a new type of aircraft with a new black box, with new software. We can't do it." 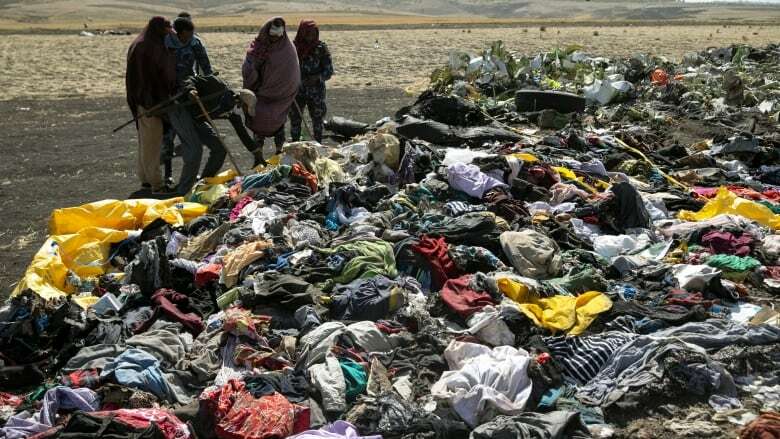 As workers continue to comb through the debris at the crash site Wednesday, Begashaw said that no bodies will be recovered because only charred fragments of victims remained. Officials have said it will take weeks to identify all of them using dental or DNA testing. Though there is no evidence of links, the twin disasters have spooked passengers worldwide and triggered a global backlash against the 737 Max 8 aircraft. U.S. President Donald Trump said on Wednesday that the United States would order the grounding of the aircraft, becoming the last major country in the world to do so. Until now, the U.S. Federal Aviation Administration had said it didn't have any data to show the jets are unsafe. "We are going to be issuing an emergency order of prohibition to ground all flights of the 737 Max 8 and the 737 Max 9 and planes associated with that line," Trump told reporters at the White House. The U.S. had held off grounding the jet based on assurances from Chicago-based Boeing and the U.S. Federal Aviation Administration. Boeing said the investigation into the crash remains in its early stages. The company, which earlier said it had no basis to issue new guidance to operators announced late Wednesday it would temporarily ground its entire fleet 737 Max aircraft, which it said number 371 globally. "We are supporting this proactive step out of an abundance of caution. Safety is a core value at Boeing for as long as we have been building airplanes; and it always will be. There is no greater priority for our company and our industry," it said in a statement, though said it has "full confidence" in the models. Earlier Wednesday, Canada, which had been one of the last holdouts, announced a ban on the aircraft from its airspace. Federal Transport Minister Marc Garneau said Ottawa was issuing a safety notice to stop 737 Max 8 and Max 9 jets from leaving, arriving or flying over Canada. 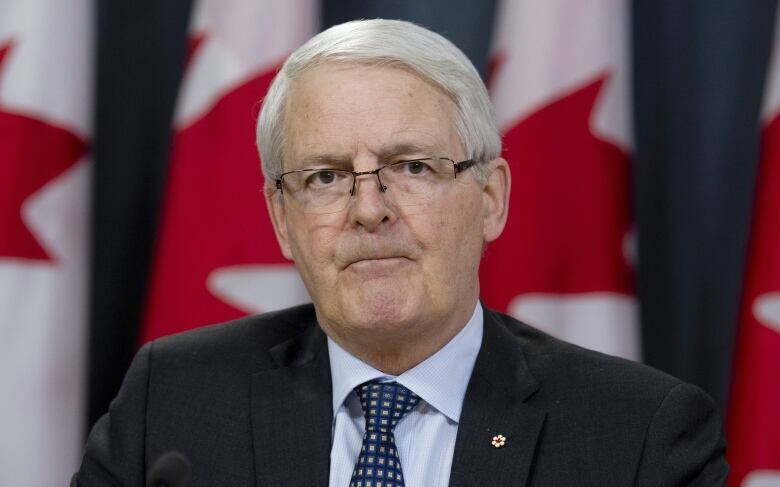 Canada had held off grounding the plane until Wednesday, when Garneau said he received new satellite data that suggested similarities between the flight profiles of the Ethiopian jet and that of a Lion Air plane of the same type that crashed in Indonesia last year. Both planes crashed shortly after takeoff. It is the first time since Sunday's crash that a regulator has taken a grounding decision after receiving new data, though there is still no data for now from inside the aircraft. Air Canada and WestJet Airlines operate a total of 37 Boeing 737 Max 8 jets. Sunwing, which operates four Max 8s, said Tuesday it was suspending use of the jets but said the decision was not related to safety and was instead about "evolving commercial reasons" such as airspace restrictions imposed by some destinations. India, Thailand, Egypt, Lebanon, Kosovo and Hong Kong also said Wednesday they were banning the Max 8 from their airspace, joining the U.K. and the entire European Union, among others. "They were trained, the manual updated and simulator training was completed." In November, an incident was reported to the NASA-run Aviation Safety Reporting Database that involved difficulty controlling the 737 Max at low altitude just after takeoff with autopilot engaged, according to documents first published by the Dallas Morning News and verified by Reuters. "We discussed the departure at length, and I reviewed in my mind our automation setup and flight profile, but can't think of any reason the aircraft would pitch nose down so aggressively," the first officer said in the report. The pilot gave his account of the incident and wrote: "With the concerns with the Max 8 nose down stuff, we thought it appropriate to bring it to your attention."